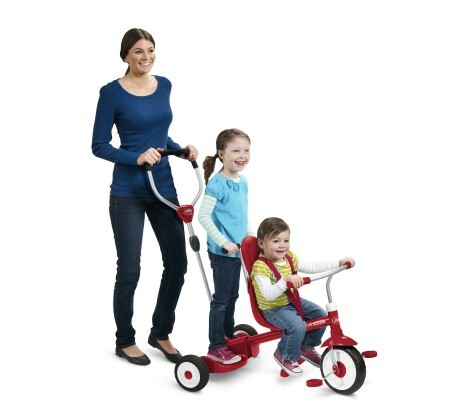 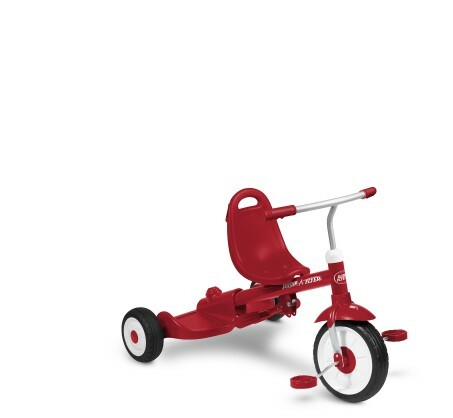 The Ride & Stand Stroll 'N Trike® is the only trike designed for 2 riders. 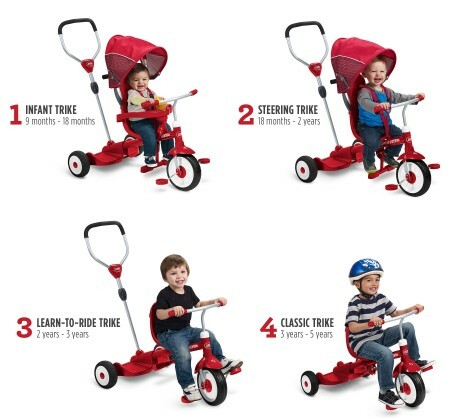 With its great stand on platform, this 4 in 1 trike is the ultimate grow-with-me trike offering fun for 2 kids at once! 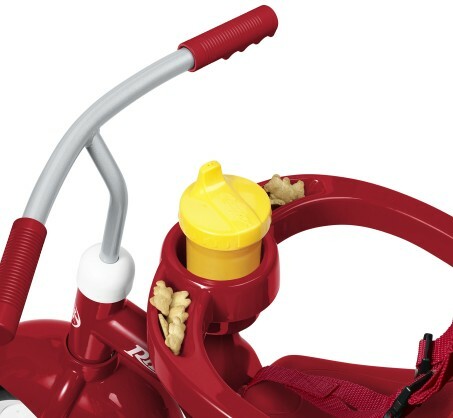 This trike comes with a secure 3 point harness with high back seat, a wrap-around tray with child cup holder, and an adjustable seat. 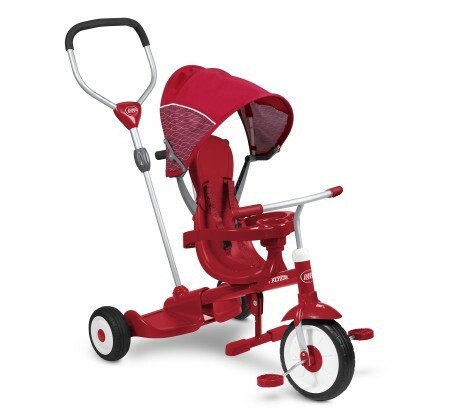 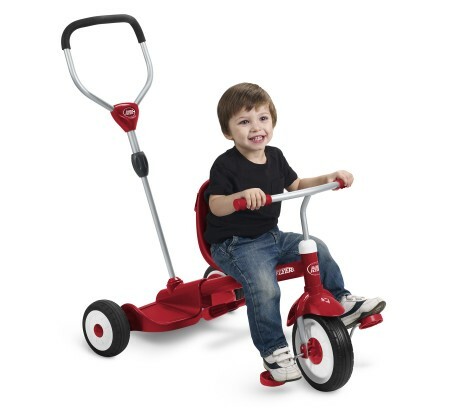 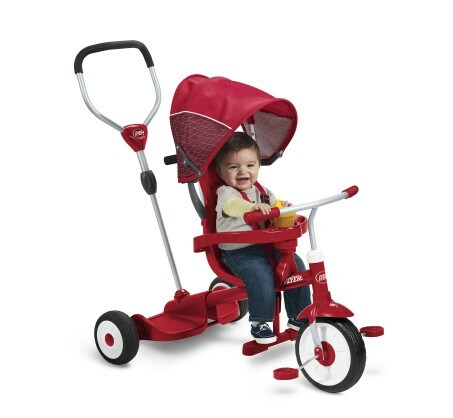 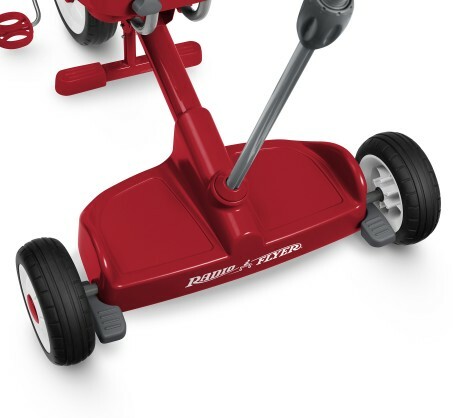 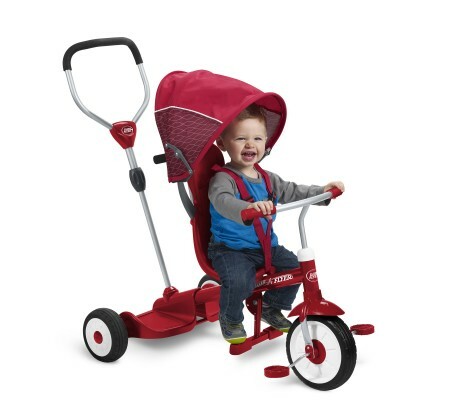 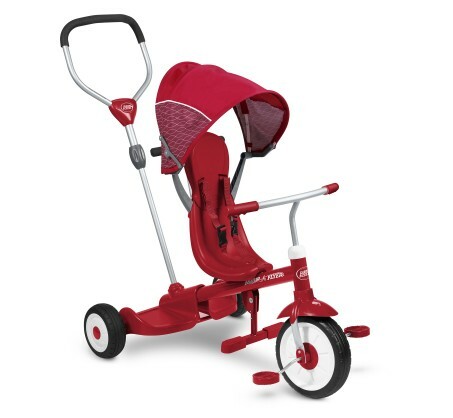 It also features an adult Steer & Stroll™ adjustable push handle, removable canopy, quiet ride tires, foot brake, and a foot rest for the ultimate ride.